Hi all, first brew day with brand new Robobrew V3 and encountered an error I fear may mean I have a dead machine as there are no references to it in the manual or online. Was heating my strike water to 170F with both elements and the pump on. Went to check on it and discovered current temp was “2E0”, pump on and both elements’ lights out, despite them being in the on position. 2E0 is an error code, I assume, but I can’t find any reference to it anywhere. Does anyone have any ideas? My apologies if this is an easy fix and I’m overlooking something obvious. Many thanks. 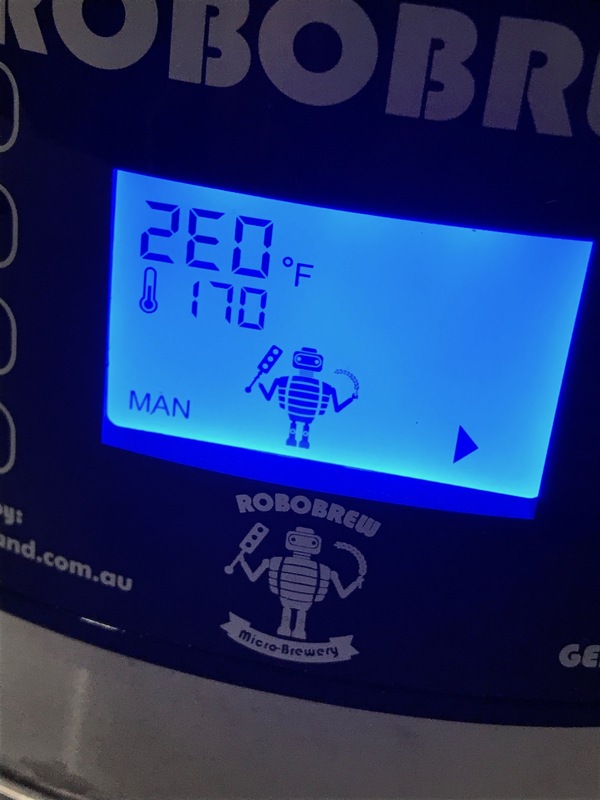 Edit: Robobrew now indicates Error E2–Short Circuit Temperature Probe. How do I fix that? Brew day is now OVER!!! Mate, That doesn’t sound great. Have you tried a factory reset? must be pressed at exactly the same time in order for this to work. NOTE: This reset will also reset the calibration figure. My temperature probe also crapped out, although I did not get an error code - it was simply reading about 50C higher than it was meant to which meant that the elements would not turn off when they reached the required temperature. Eventually they conceded that there was a manufacturing defect that they were required by NZ law to take responsibility for, so I sent the unit back and they replaced the temperature probe. I contacted the reseller I bought it from on Amazon…will see how it goes! Many thanks. Guess will have to use old brew system for the Belgian Dark Strong I was hoping to do today. Out of time, so it’ll have to wait a couple weeks. Just push play! You never know.